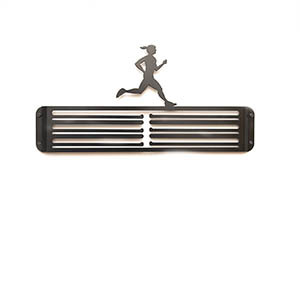 Large Hang Your Gong female runner black steel medal hanger for displaying your well-earned running medals. 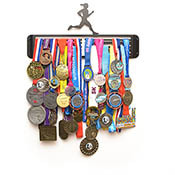 Unique paired hanging bars design which enables you to hang lots more medals at the height you choose by using the lower bar to adjust the length of each ribbon without cutting or tying! 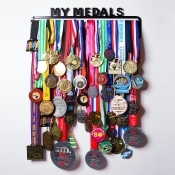 3 large paired strong rows to display up to 30-50+ medals depending on ribbon width! 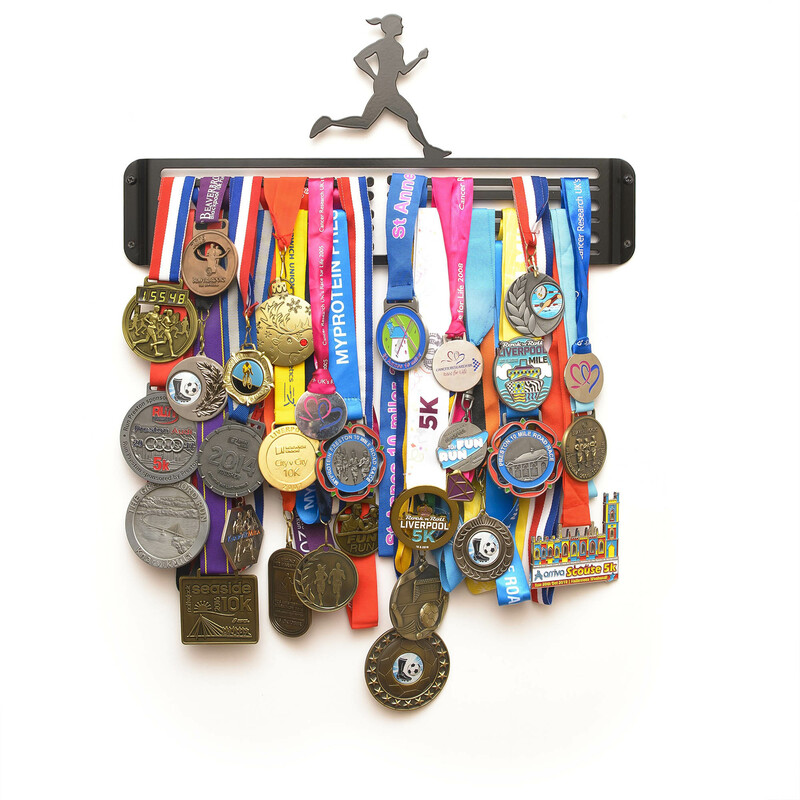 Durable black metal medal hanger tested to hold up to 3kg of medals which is a LOT of running bling! The female runner design is the ultimate in medal hangers for you to celebrate your running medal achievements; use it to hang and display your 5K, 10K, half marathon, marathon, ultra marathon, road, fell, trail, cross country and track running medals and of course any other medals from athletics to skiing. 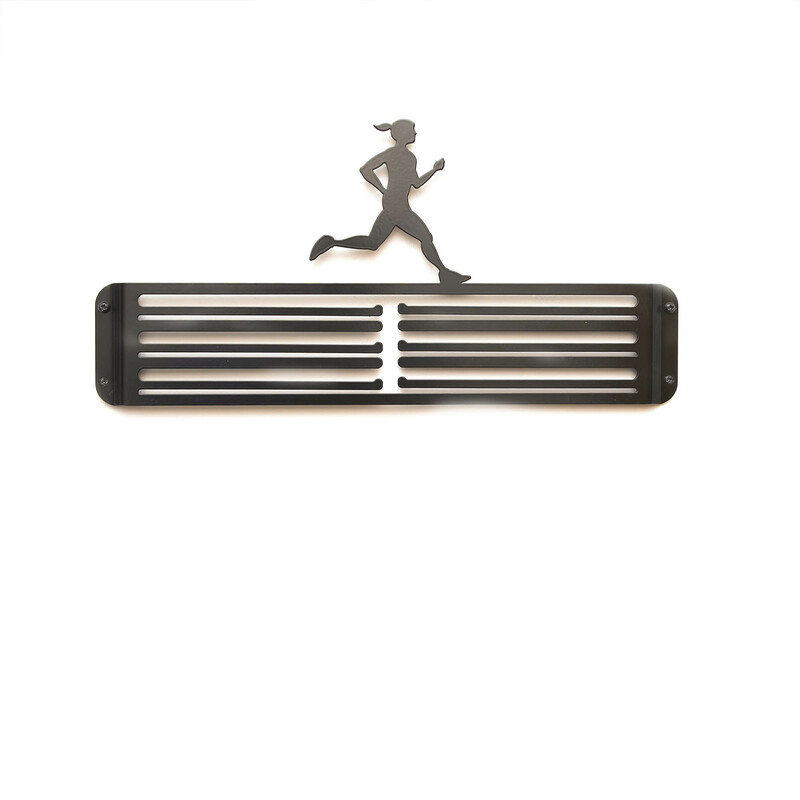 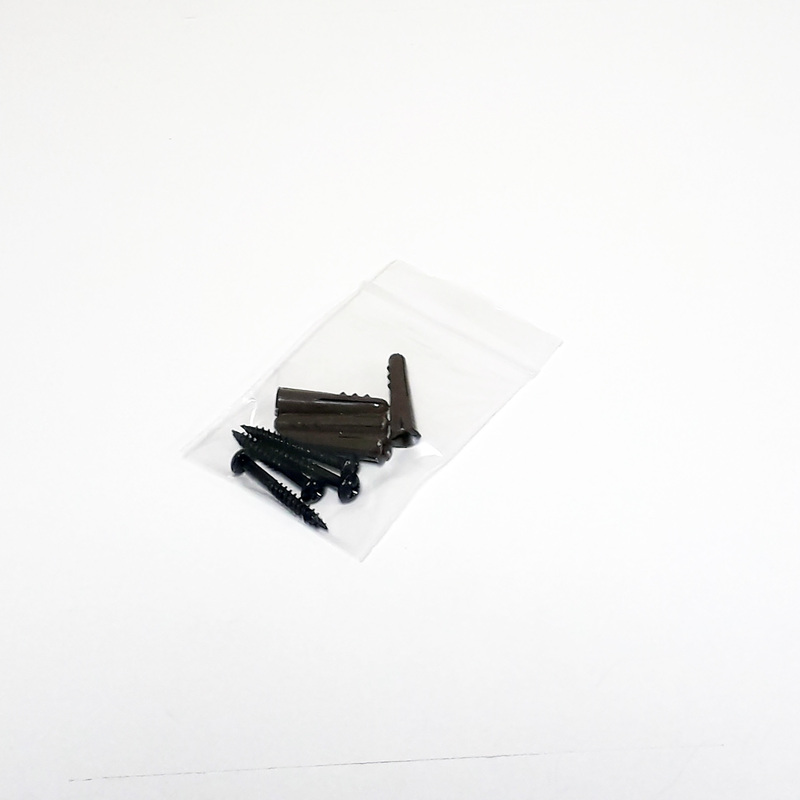 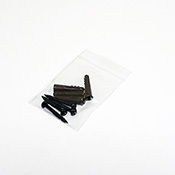 Manufactured in black satin powder coated laser cut 2.5mm steel; each running medal hanger comes complete with fixtures and fittings (screws and wall plugs) and easy to follow instructions.